Among a sea of themes, finding out the best one for a website is never an easy question. However, there is some criterion helping us to consider before choosing a theme. 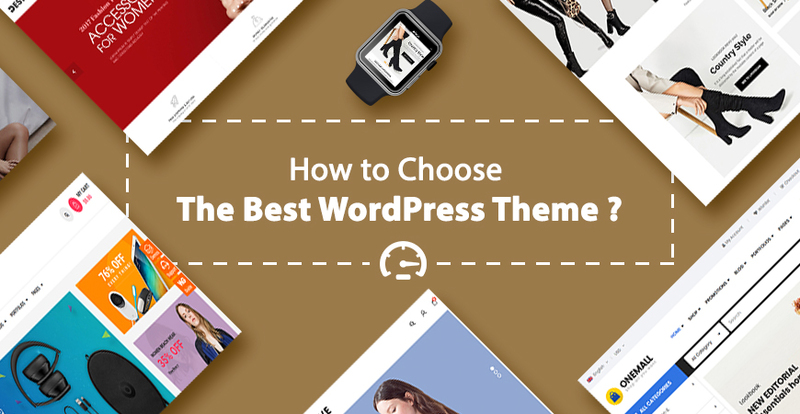 Let’s continue to see how to choose the best WordPress theme for your website. What is the content of your site? Does the theme flexible and function well? Is the theme provider reliable? Is the theme good for SEO? Is there any plan for the theme in the future? Why are these 6 questions? Let’s discuss here together. This seem to be the most important point to this mission. If you don’t know where to go, the way to the destiny may be longer or even you get lost. If you know where to go, the path will be clearer and shorter. So, it’s essential for us to answer this question: What do you need to this theme? – Is it a small website or a big one with a lot of content? 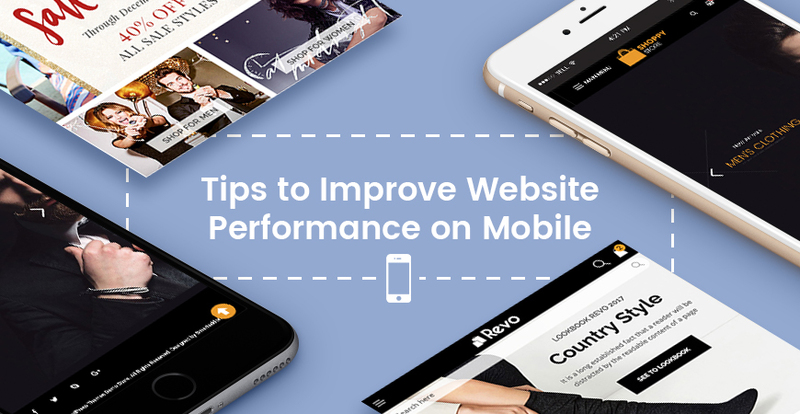 – Do you need it to be responsive with mobile devices? – Will it be an online store/shop with eCommerce functionality? – What is the most important element displaying on the home page? – Do you plan to change your site in one or two years? Not many themes fit all sites. Therefore, defining your needs is never a skippable step. It’s clearly that a news theme will be different from a fashion or digital store theme. If you want to choose a theme for an online fashion store, an amazingly beautiful blog theme without great shop page doesn’t help a lot. If your content is a shop type, let’s go ahead to the fashion themes. In addition, the developer always makes the demo data to meet the theme structure in the demo then you can dig it deeper to see if this one is suitable with your type of content. 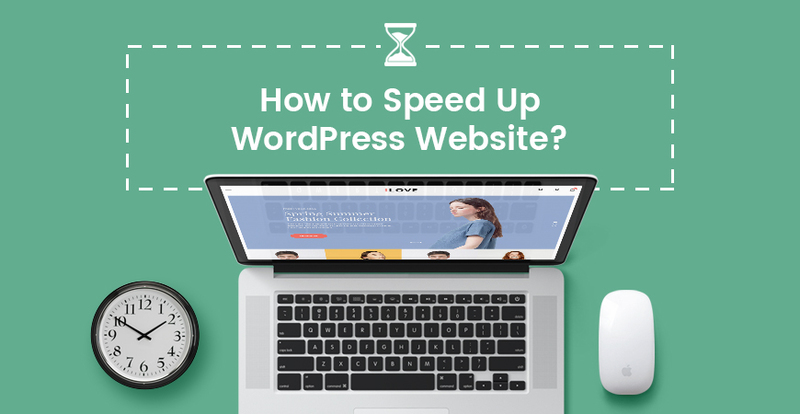 The front end can show how beautiful the theme is, however, the functionality and ease of use in the WordPress Admin make the level of a theme. When checking the demo, the theme looks so nice and matches all your taste. But it is not enough to choose a theme! Let’s consider the page layouts, theme options and added functionality of it in the backend. If you want to use different number of columns, sidebars for different pages, and post types, this factor should be considered. Various layout on your website may help it to be neat and unique. 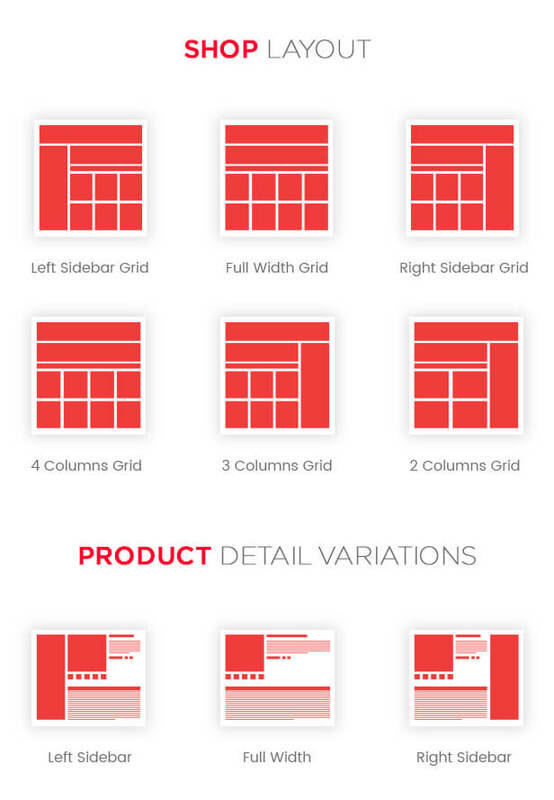 If you want to use the same layout for overall your site, this function doesn’t matter. 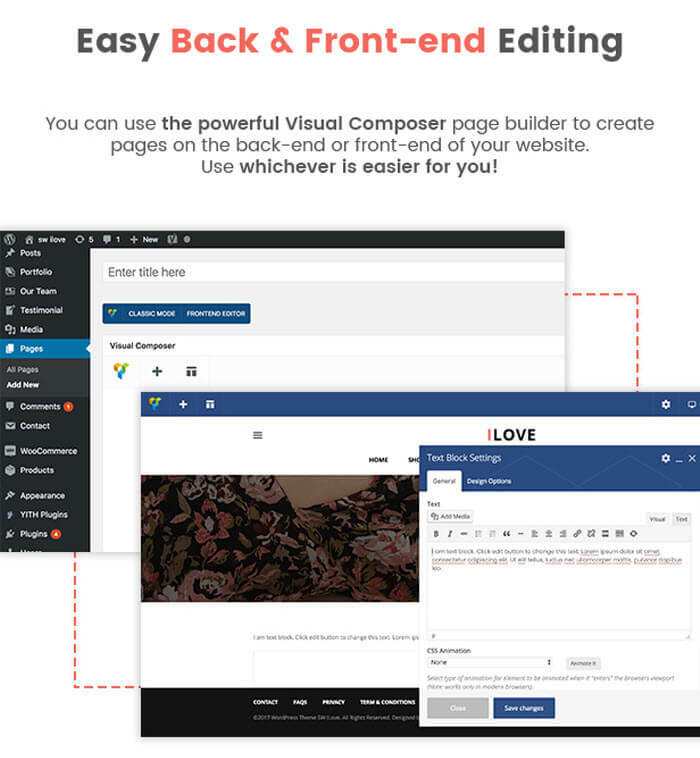 Almost WordPress themes include Theme Options area in the admin panel to give user ability to change the logo, color, font and many other options. While there are themes enables us to change just some basic feature, there are some leaves us with bunch of options that we never use. To a professional, it’s supper easy to find and change the CSS or PHP as his expectation. For a novice, finding a theme with user friendly Theme Options is the best choice. Sometimes, minor can make the big. That is also right to the extra functionality of a theme. 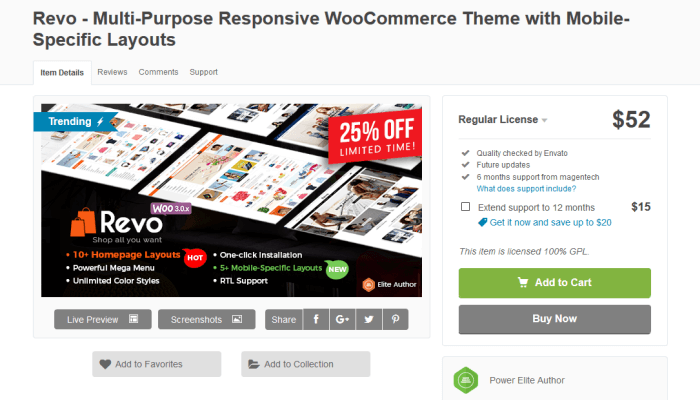 If you have intention to use WooCommerce, you should find a theme support custom style for this plugin. Or else, you just can use the default style for your shop or have to customize the CSS to match the site appearance. That’s just an example. There are many other features that should be supported including sliders, shortcodes, testimonials, portfolios, widgets and galleries. As I know, many customers consider the theme provider as the top element when choosing a theme or template. This seems to be reasonable. – Do they provide good support service? – Are they on the top theme providers on Themeforest? – Do they have good plan to update their products? 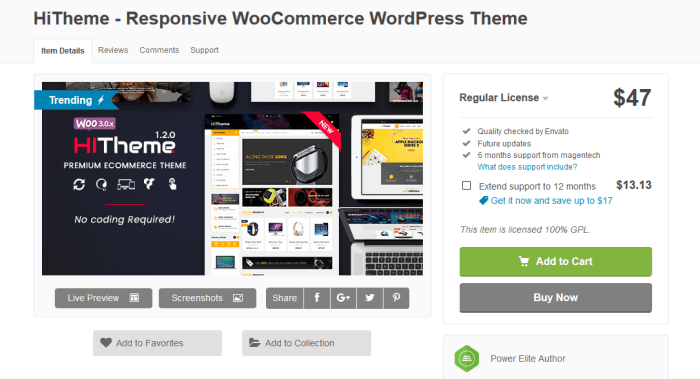 – Do they have product on trending or top selling on Themeforest? – Do they get good comment from other customers? With just some small investigation, it will be easier for you to rate a provider as reliable one or not. If you want your site to be on the top of Google ranking, never skip this feature. If you love a theme, never forget to check its performance, page URL, header tag and others. For this, there are many web tools for you to check without code knowledge requirement. Besides, choosing a theme that is compatible with popular SEO plugins is not a bad idea. Worrying about the future seem to be so far, however, don’t miss this point. WordPress is usually updated and then the plugins and themes should be done to be compatible with the system. Let’s choose a theme regularly updated. Updating a theme not only help it to fix the bug, but also added new feature, improvement and style. Currently, we have been always updating our products to fix bug, improve the theme with more feature and home page style. 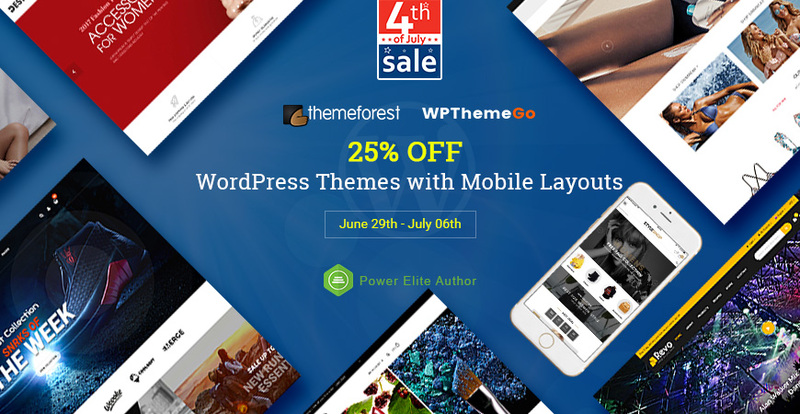 Currently, WPTheme Go Team provides WordPress themes with various topic especially eCommerce themes. With beautiful design, good code quality, powerful theme options, good update plan and nice support service, many our themes be on the Top Seller and Trending on Themeforest. Thanks to your support, we will develop more nice themes to meet your expectation.